From improving efficiency and solving labor challenges to addressing safety concerns, the resolutions outlined in this eBook will benefit your entire business throughout 2019. 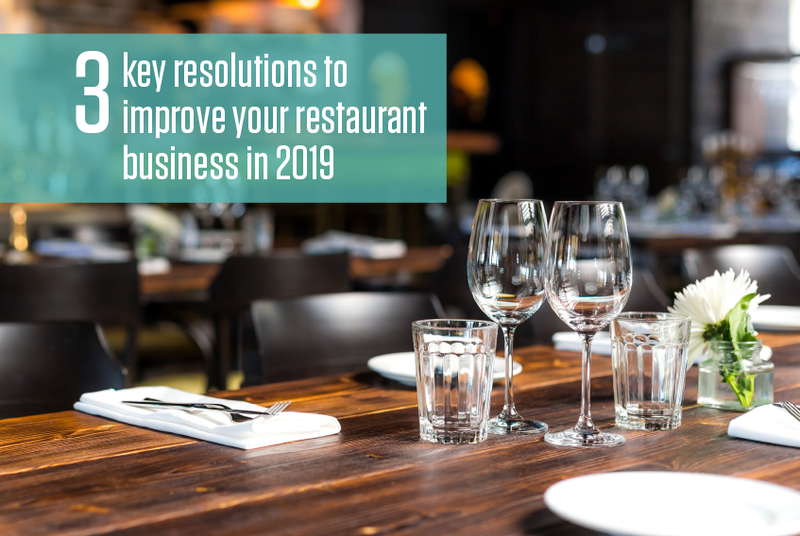 Incorporate any or all of the strategies included here into your business and you could make 2019 your best year yet. With 2018 done and gone, now is the perfect time to sit back and reflect on the year that was and look toward everything you want to do this year — not only in your life but in your business as well. These first few steps can be painful, because we’re sure there were some things that took place in your business in 2018 that were positively headache-inducing. Now’s the time to reset and correct them. Your front of the house probably feels like the squeaky wheel getting the grease. But chances are the areas that require the majority of your attention (like, actual grease buildup) are actually located in your kitchen. It’s what’s on the inside that counts, after all. No matter the challenges in the back of your house, chances are they can be corrected by focusing on three key areas: efficiency, labor and safety. This book is here to help, by providing strategic resolutions around each of these areas. You’ll improve your back of the house for 2019 and beyond, and that will make next year’s reflections so much more pleasant. Let’s begin with resolution number one.